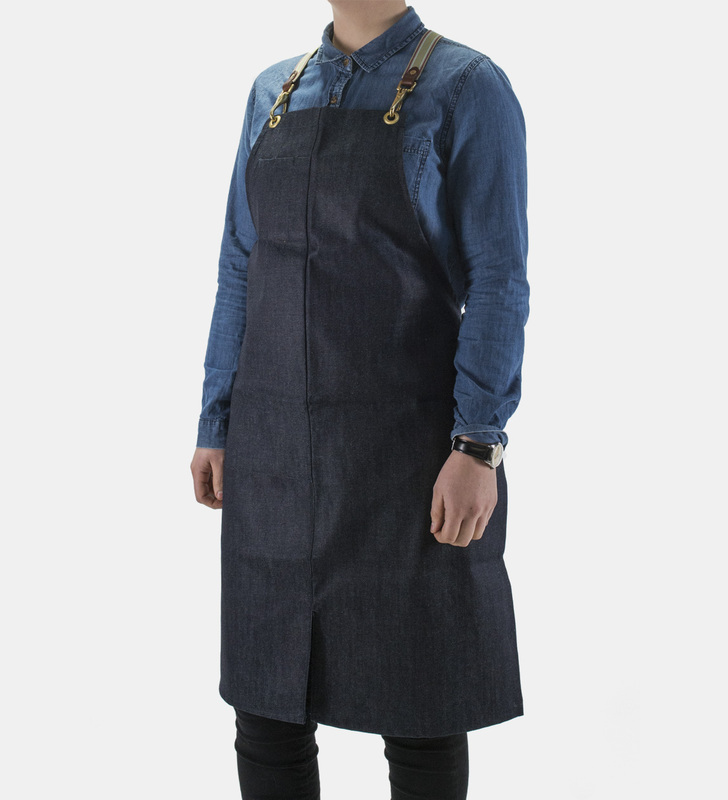 The Japanese Denim Apron was tailored with the shopkeeper or hospitality guru in mind. Denim is a good, lightweight protective material that allows ease of mobility for the wearer. The brace has been designed to sit on your shoulders, not your neck, to alleviate any discomfort that arises from sustained wear. One large pocket that will fit an A5 notepad on the left hand side (in the photo) positioned on the right hand side as you wear it. With a single smaller pocket at the top which fits and Iphone, and a place for 2 pens/pencils. You can opt to put a hand-embossed brass plaque on the apron for an extra $15. There are a couple of sizes to fit either a short name of 5-6 letters, one for 8-10 letters or a larger one for three or four words. Please note the letters are in capitals only and are hand-embossed. Please write in the “Notes” section of your order what you would like to be written on the plaque. The plaque is placed between the top two eyelets at the top of the apron bib. 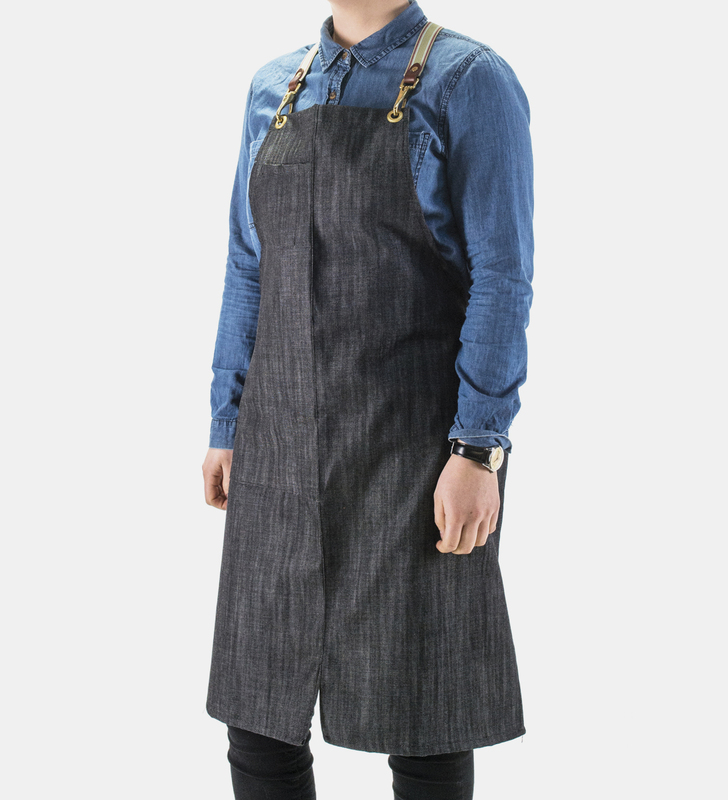 Please note that customised aprons are non-exchangeable. 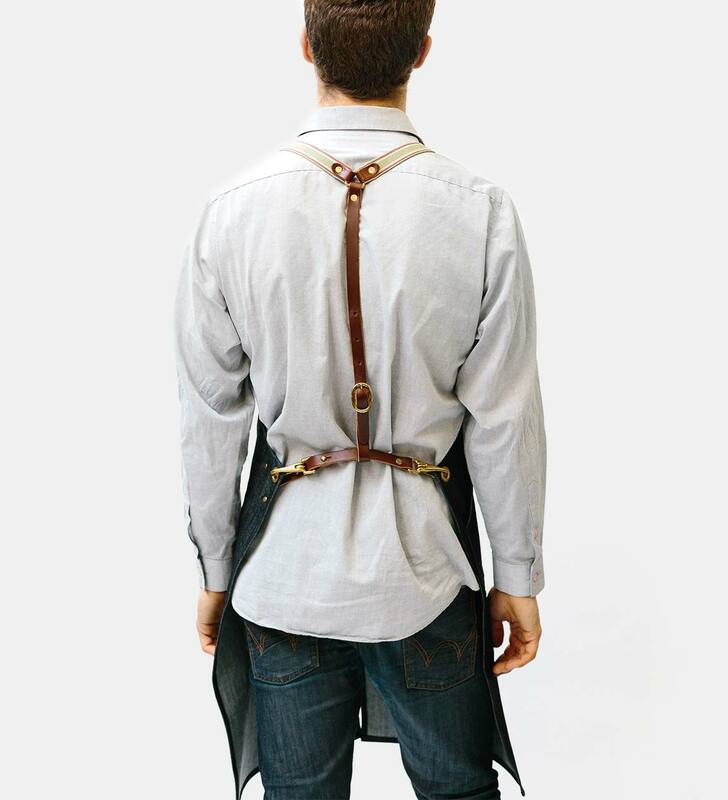 The Brace (the straps on the back of the apron) is fully adjustable with a height adjustment on the back strap and a waist adjustment. They are one size fits all. ‘Bib’ (the front smock part) is the same on all sizes. The dimensions are approximately: 65cm (at the widest part) 85cm length. Contact us if you would like a custom pocket configuration or to discuss custom orders for cafes or restaurants etc.